Sponsored by the Bombardier Foundation and the Active Transport Lab at the University of British Columbia and BC Recreation and Parks Association. 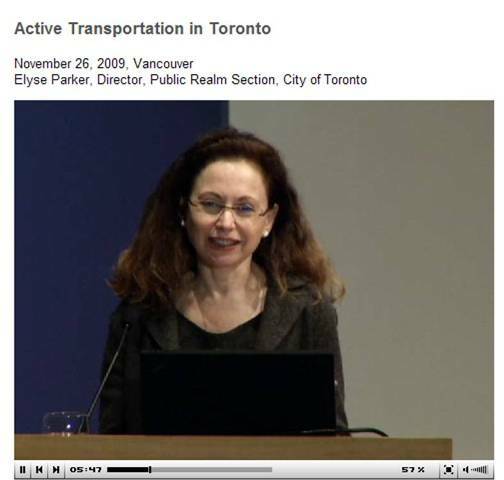 Elyse Parker, as the Director of the Public Realm Section for Toronto’s Transportation Services Division, is actively re-envisioning streets and public spaces through city greening, sustainable practices, beautification and active transportation. Find out how Toronto is taking designs for a healthy city – and healthy people – to the streets. Details and program here. And SFU students get $2 off! Post-Game Analysis: How Vancouver, Richmond and Whistler planned for the Olympics. For those who organized the logistics and planning for the Olympic Games, there was no second chance to do it right. And with the world’s media in town, no way of hiding. PlanTalk has brought together six civic representatives to discuss how they did it and what they learned. Tickets: Admission: $15. PIBC/RAIC/AIBC members: $10. Students: $5. Payable by cash or cheque at door. Co-sponsored by Planning Institute of British Columbia — South Coast Chapter, Metro Vancouver RAIC Chapter, and SFU City Program. PIBC members: 2 CPD units; RAIC / AIBC members: 2 Core LU. How do we take the principles of active living, combine them with active transportation and expand our ideas and concepts to achieve a fully sustainable world? An ambitious question – and one that Dan Burden takes on in a new and fresh presentation. Dan is an internationally recognized authority on active transportation, livability and sustainability, with 38 years of experience. He will illustrate implementation strategies for all sizes of communities, from those wanting to remain rural in character to those that are highly urban, with examples from Bogota to Abu Dhabi. A Seminar with PROFESSOR BRIAN WYNNE, Associate Director of (CESAGen) – Centre for Economic and Social Aspects of Genomics at Lancaster University, UK. CLIMATES and GENOMES: How do we put the social into science for sustainability? Brian Wynne is Professor of Science Studies at CSEC and at the ESRC Centre for Economic and Social Aspects of Genomics (CESAGen) at Lancaster University, UK. His work has covered technology and risk assessment, public risk perceptions, and public understanding of science, focusing on the relations between expert and lay knowledge and policy decision‐making. What will it take to transform our cities? What changes do we need to make in the basic operating code in how cities function? In this lecture, Thomas Osdoba will argue for creating a culture of innovation around sustainability — and ways to make it happen. 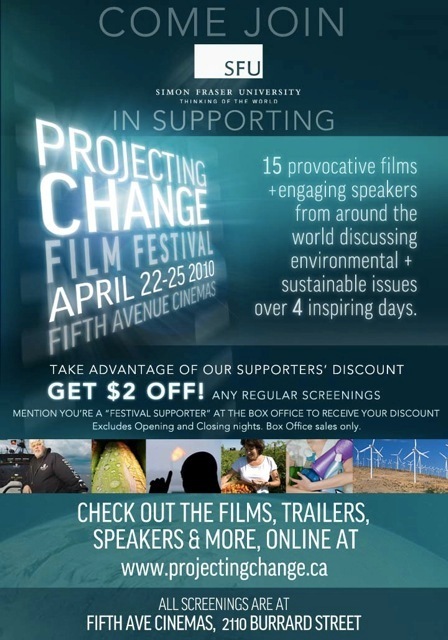 Thomas Osdoba is Managing Director of the Center for Sustainable Business Practices at Lundquist College of Business, University of Oregon, and Principal at Tao Strategies. He is the former Sustainability Manager for the City of Vancouver and has served as the Acting Director of the Canada Carbon Trust. He has 20 years of experience in environmental policy development and initiatives to promote and support sustainable development. Sponsored by HB Lanarc Consultants Ltd and the SFU City Program .